Please call us at 1-877-434-4100 to complete this request. If your address is not listed, please call 1-877-434-4100 for further assistance. Will anyone living at the new address require the use of life-support equipment? If you, or someone in your home, uses life-support equipment or has a medical hardship, it’s important for us to know so we can help you prepare for outages. Call 1-877-434-4100 to complete your life-support equipment program enrollment. When do you want service to start? Start service requests can only be made within 30 days of when you want service to start. If your start date is further than 30 days away, call us at 1-877-434-4100. Like other creditors, utility companies ask for identification so they can check your credit history—particularly your utility payment history. A good credit history makes it easier for you to get services. A poor credit history can make it more difficult. If you don’t have a Social Security number, please call (877) 434-4100 to speak to a customer service representative. By providing an email address, you are consenting to receive emails from Orange & Rockland related to paperless billing enrollment, payment program information, service updates, and energy-saving tips. We don’t sell or provide email addresses to third parties. By providing Orange & Rockland with your phone number, you may receive phone calls from O&R. These phone calls would relate to the services O&R provides, including outages as well as billing and payments. Depending on your plan, charges may apply. You can opt out at any time. Receive an email, instead of a letter, when your bill is ready. Pay your bill automatically from a bank account. Are you 62 years of age or older and live alone? Are all members of your household 62 or over, with the remaining members of the household under the age of 18? Is anyone in the household disabled or blind? If Yes, are all the other people in the household over 62 years old or disabled or blind? Are all members of your household 62 or over, with the reamining members of the household under the age of 18? Payments will be deducted 10 days after your billing date. We've received your start service request. We'll email you when your new service is ready. At that time, you'll be able to add your new account to your online profile. 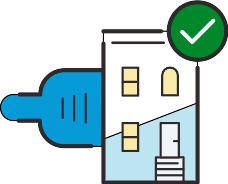 Con Edison's account service and customer specific information are solely intended for use by the customer who is the account holder or the customer's authorized agent. Any unauthorized entry or use of Con Edison's My account service center is prohibited violators will be prosecuted. Report trouble width your electric service or check on the status of a previously reported electric service problem. For gas emergencies, please call our toll-free number 1-800-752-6633. DO NOT send an email.